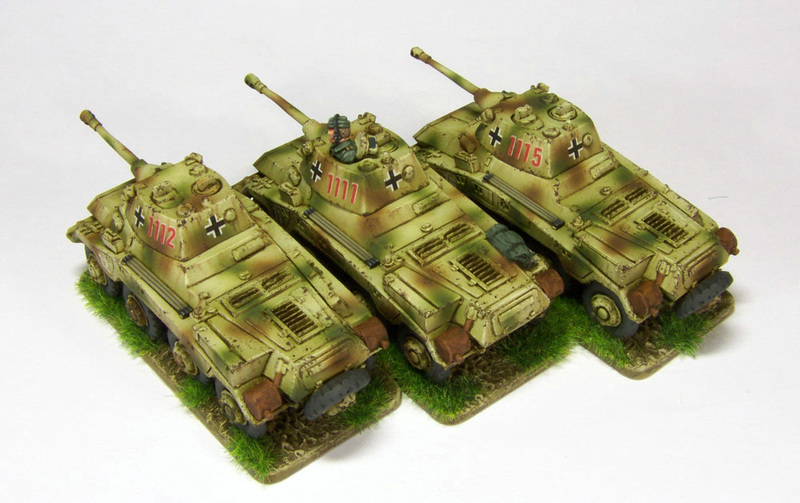 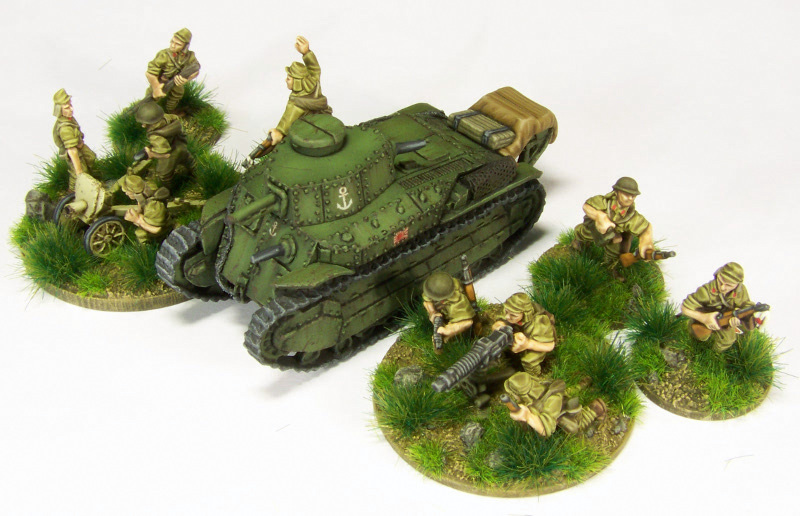 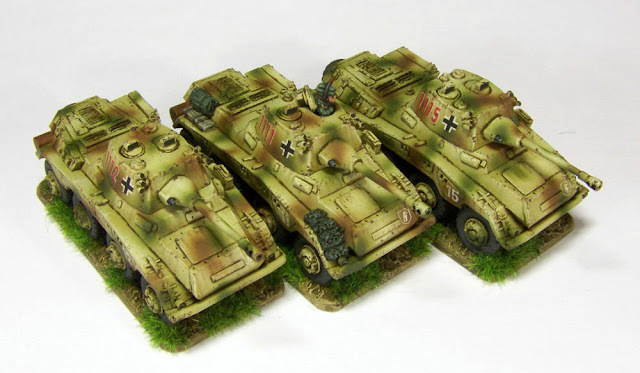 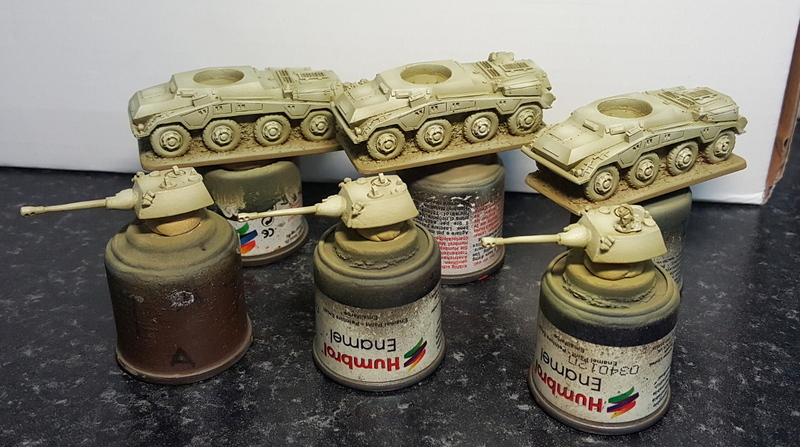 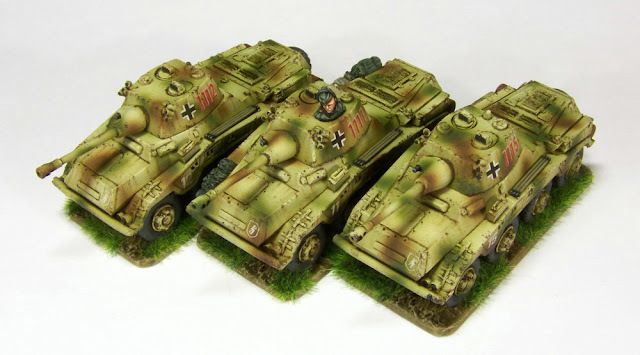 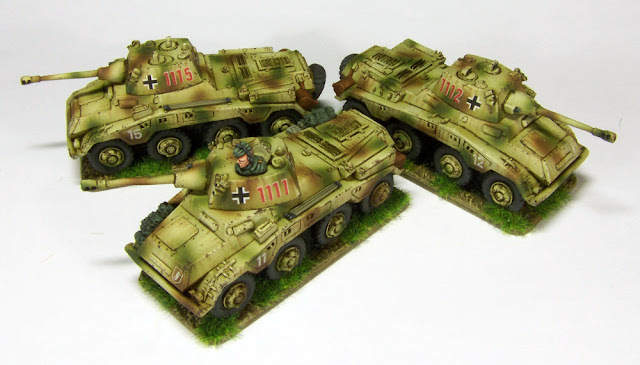 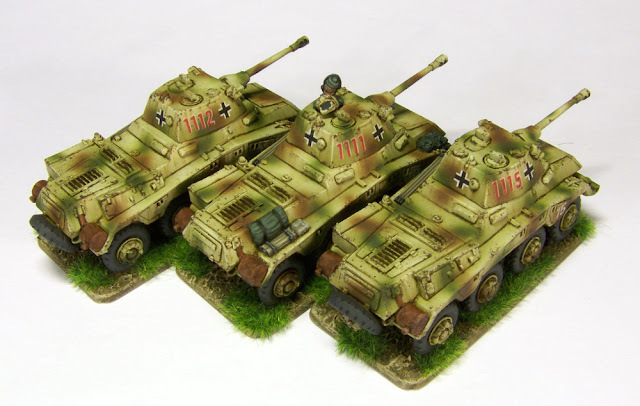 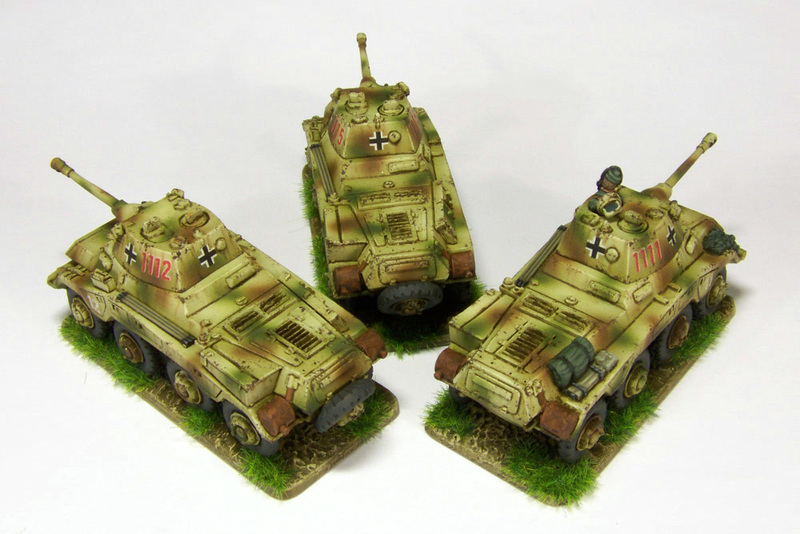 Sd Kfz 234/2 Pumas, by Forged in Battle. Work in progress on some Forged in Battle Pumas. Tamiya NATO green for...err, the green bits. 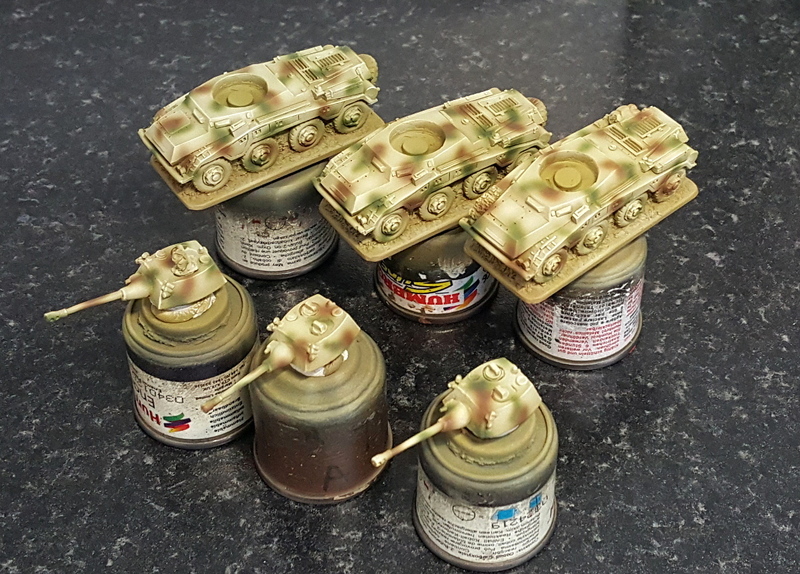 Tamiya NATO Brown & Olive Drab at 1:1 for the brown. 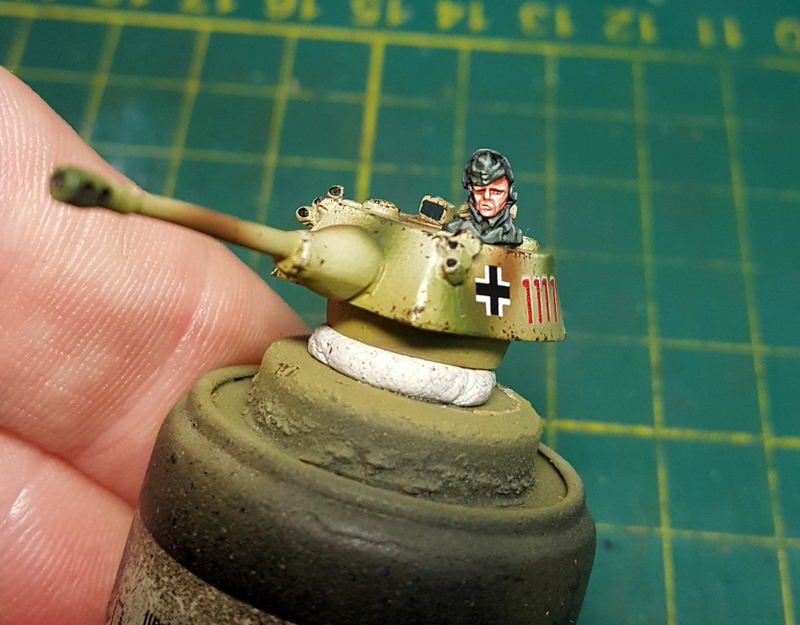 Commander (awkward fit on the vehicle it must be said). 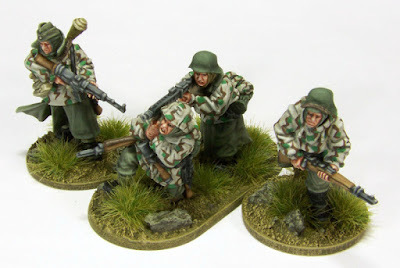 BF plastics are probably better (not seen yet), but for gaming purposes they'll do. 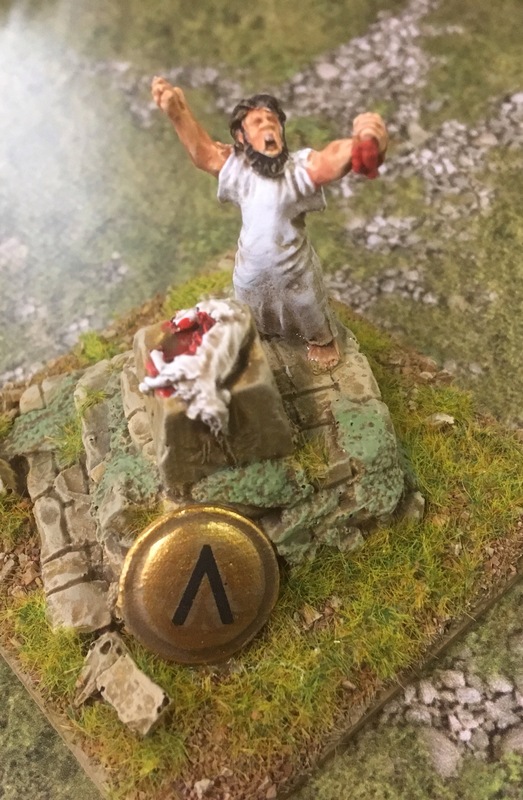 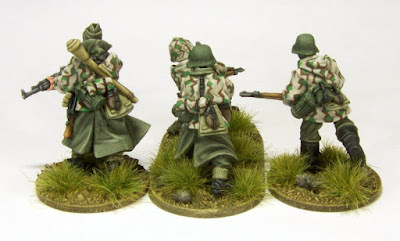 More accurately, autumn Germans in winter clothing I suppose: not wanting to do snow, I've gone with an autumn basing scheme that blends in well with most tables (even desert!). 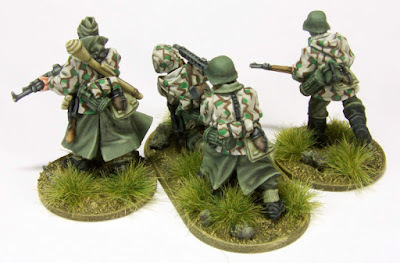 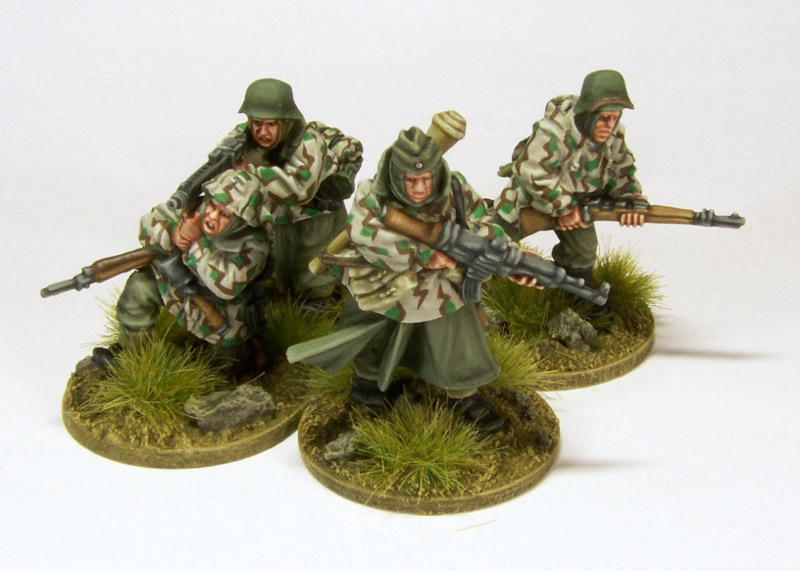 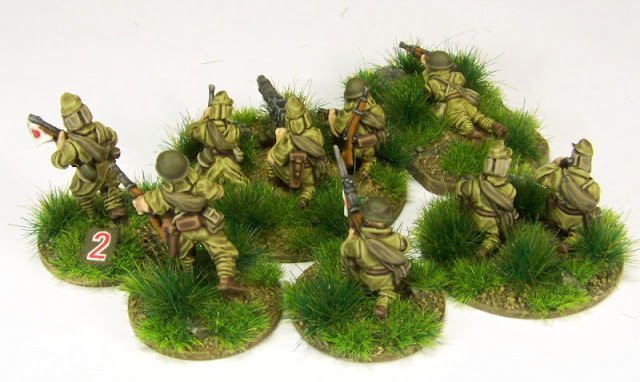 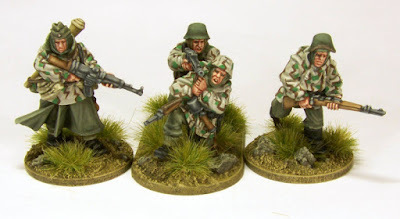 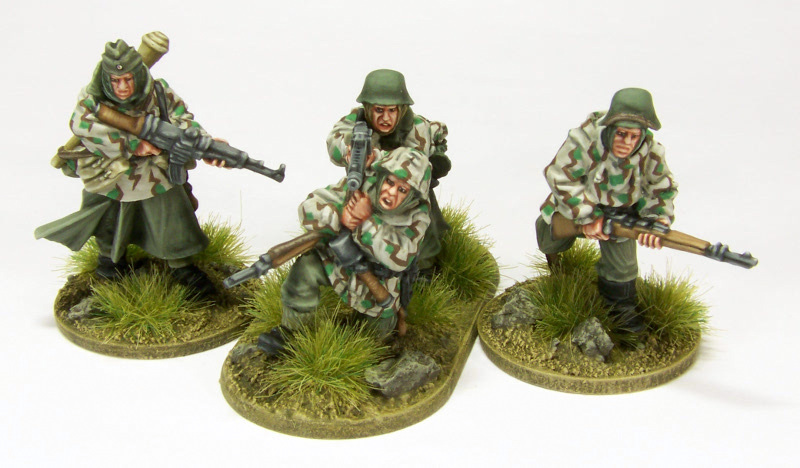 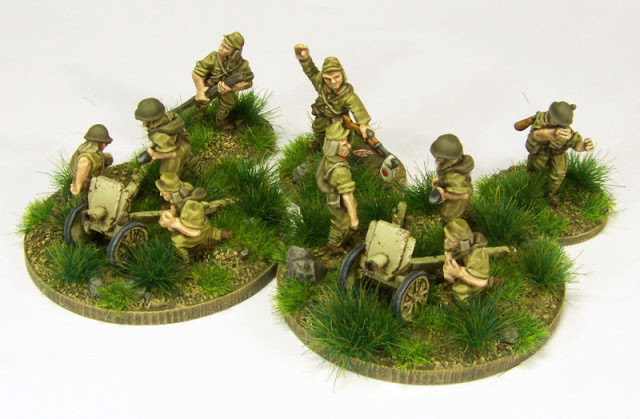 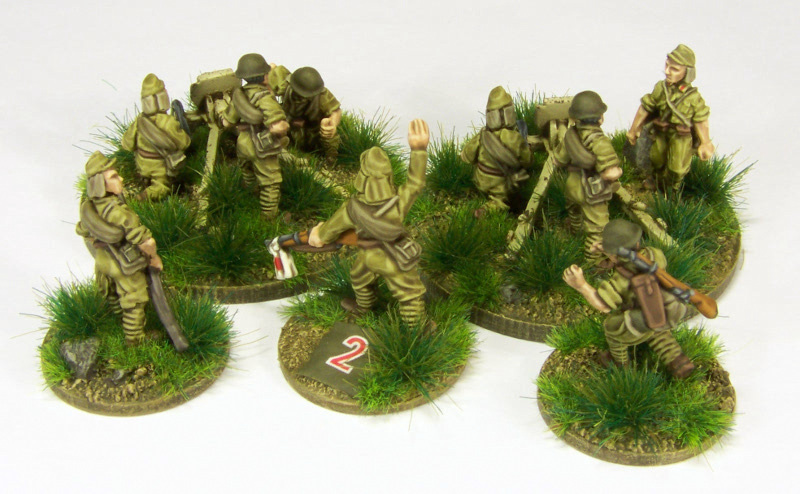 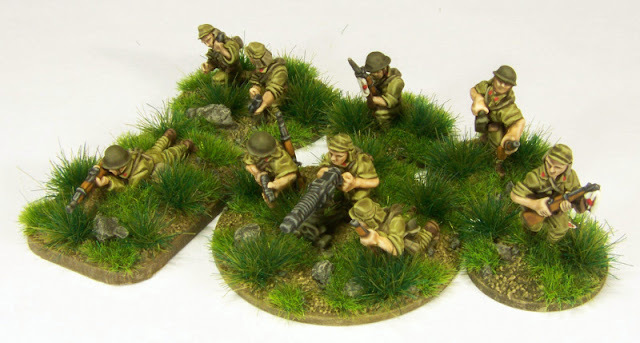 28mm figures by Warlord Games ("German Grenadier Squad (Winter)"), the first four of the 10-man box.